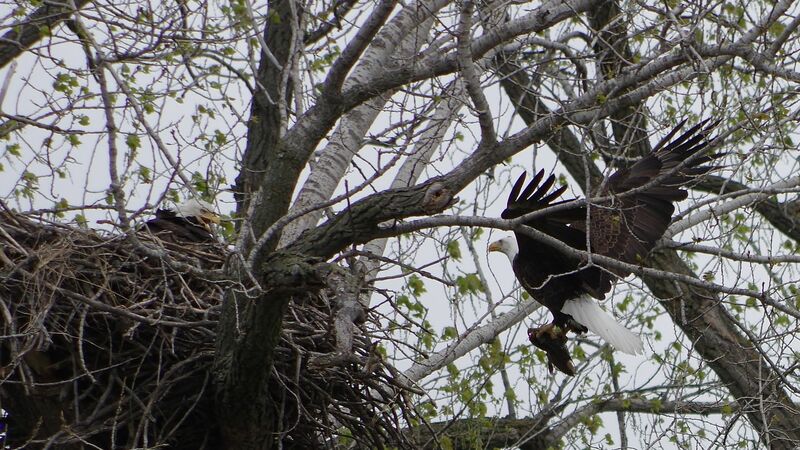 I spent only thirty minutes watching an eagles’ nest adjacent to Gray’s Lake in Des Moines last Monday, but in that short time captured some of the domestic motions of these beautiful bald eagles. 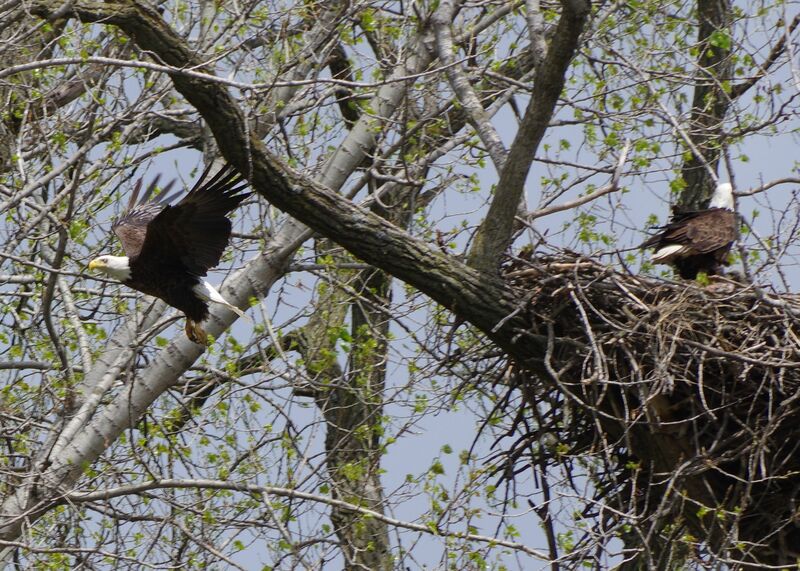 It was exciting to capture one parent’s return with some food for the couple’s two eaglets. Flying in, he’s bringing home the bacon, I mean the fish. One has to stay hydrated when working! There’s always the need to remodel the nest…gathering up more nesting material. 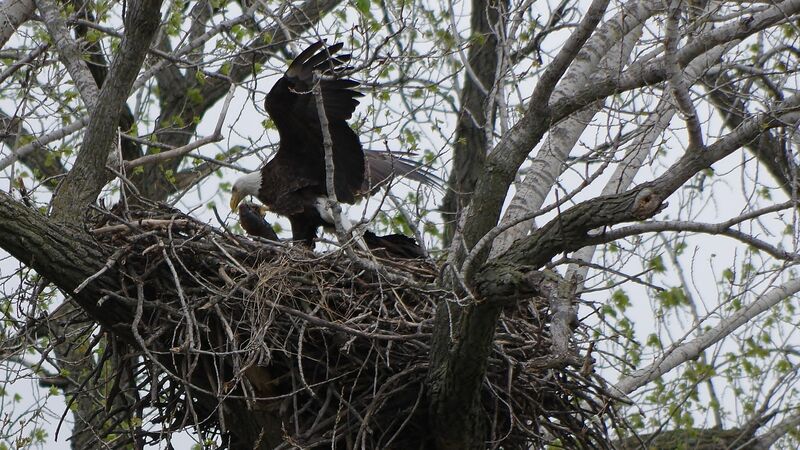 I checked the nest on Thursday and they are still at work, caring for their brood. For more examples of “motion,” click HERE. 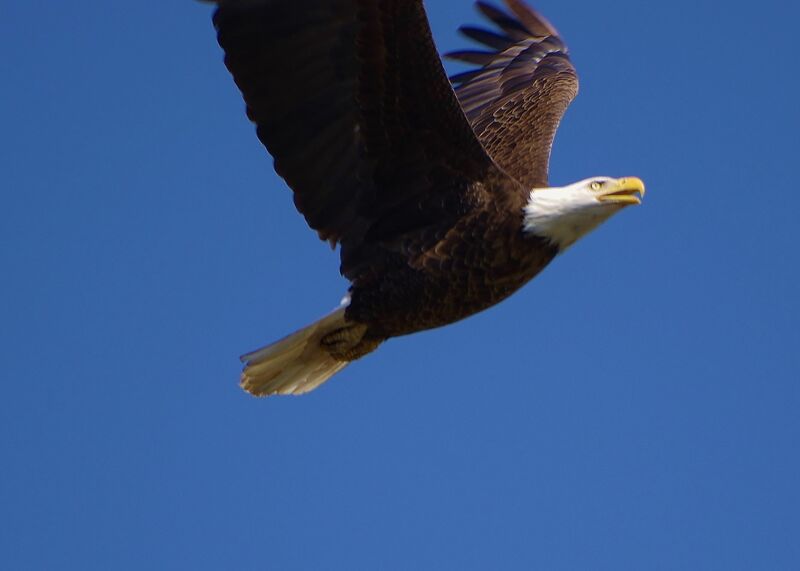 Living in rural Iowa for the last twenty years, I’ve seen a lot of wild life, but it’s only been in the last three years that there has been a growing presence of bald eagles. While I have been able to capture a few at a distance, I am often traveling through the a local state park to “see what I can see.” Last week, I saw a large bird, flying solo among all the flocking Canadian geese, who winter at the lake. It wasn’t an eagle but a beautiful red-tail hawk. Later, I found another hawk roosting in the deserted campground. However, it would fly to another tree every time I approached for a clear shot. 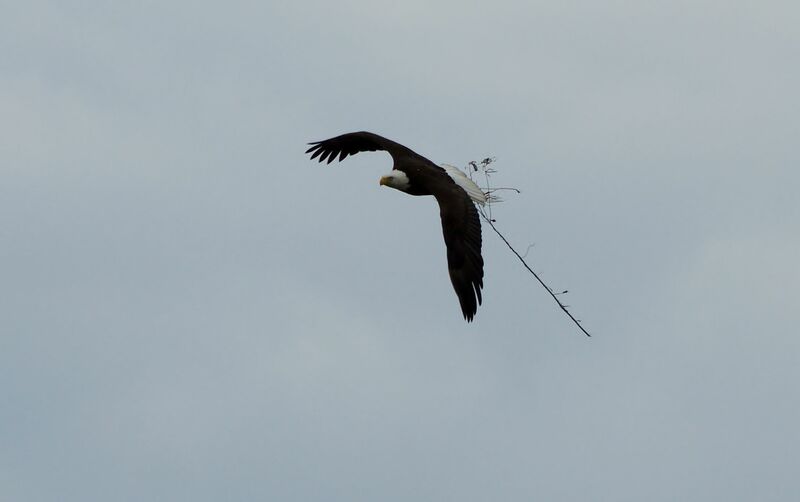 Finally yesterday afternoon, I saw it flying toward the camp ground. As I slowly drove into the area, there it was, roosting 40 feet up in a tree no more than 20 feet from the road. I eased the car as close as I could and stepped out on the far side to allow me to stay obscured. 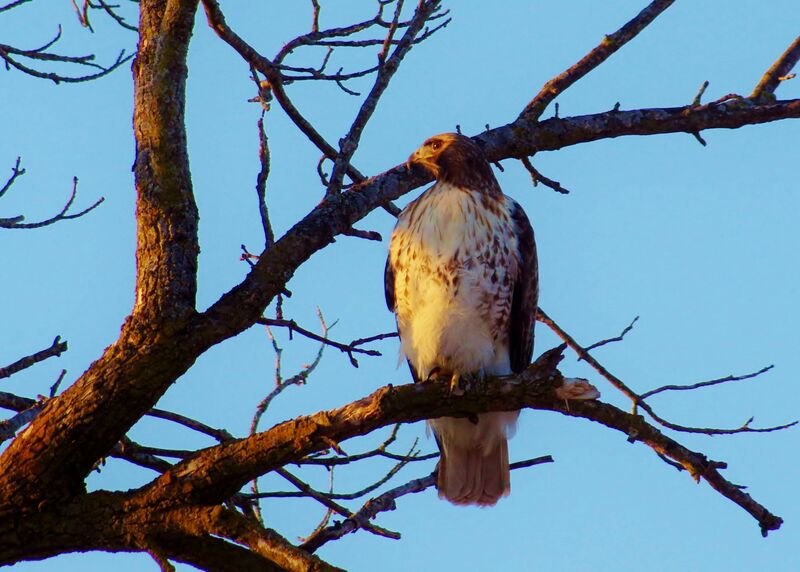 Much to my delight, the hawk gave me the “reward” of a three-minute “drive-by” photo shoot. 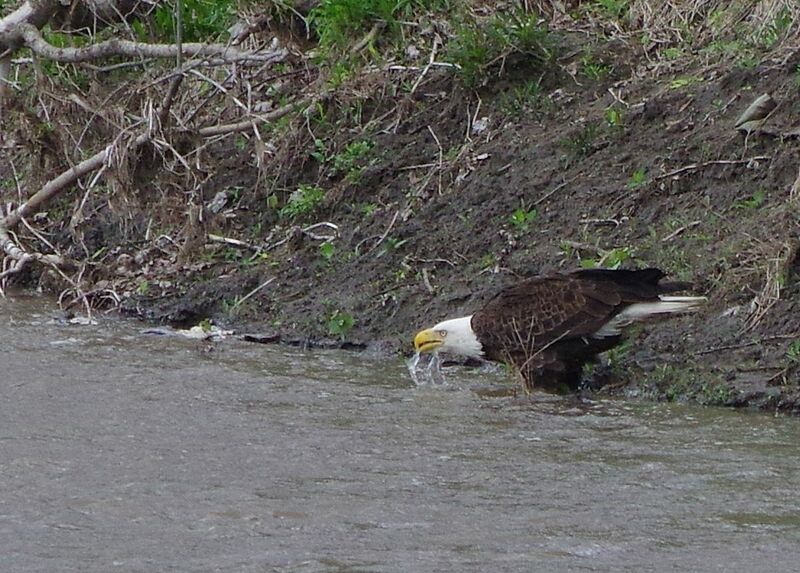 Here are a few of my distant captures of mature and juvenile eagles feasting on some geese carcasses on a local lake. You can find some more examples of “reward” HERE.